Books, Coffee & Passion is not a professional book reviewing blog, I do not receive nor accept compensation for reviews or any other topic. The opinions expressed on Books, Coffee & Passion are honest and aren’t influenced by the book’s source. 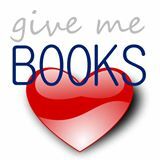 I do not purchase all the books reviewed on Books, Coffee & Passion (although I do purchase a vast majority even when I already have an ARC – I’m in a long committed relationship with the pre-order button both on Amazon and Kobo). I receive free copies of books from publishers, author’s and third party sites like NetGalley or Edelweiss. When it comes to free copies, I expressly state the book source in the blog post. My reviews state my personal opinions, regardless of whether the book was free, bought by me or borrowed from a friend or a family member. I am not paid for writing book reviews or blogging. The purchase links are provided by the publisher, the author and/or the PR company.